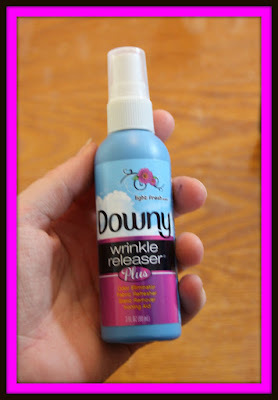 mommy's reviews: Downy Wrinkle Releaser Plus is a Must Have for Spring Travels! I don't know about you but I really don't like to iron clothes. Maybe it's because I grew up having to iron clothes...when you go to church twice a week and there are 8 people in your house, you have lots and lots of dress clothes that need to be ironed. I was always ironing. These days, I simply give my clothes a brisk shake and hang them immediately and usually I can avoid ironing. However, there are times when I still have to bust out the ironing board and get some ironing done. My mom should be so proud. :) Hahaha! 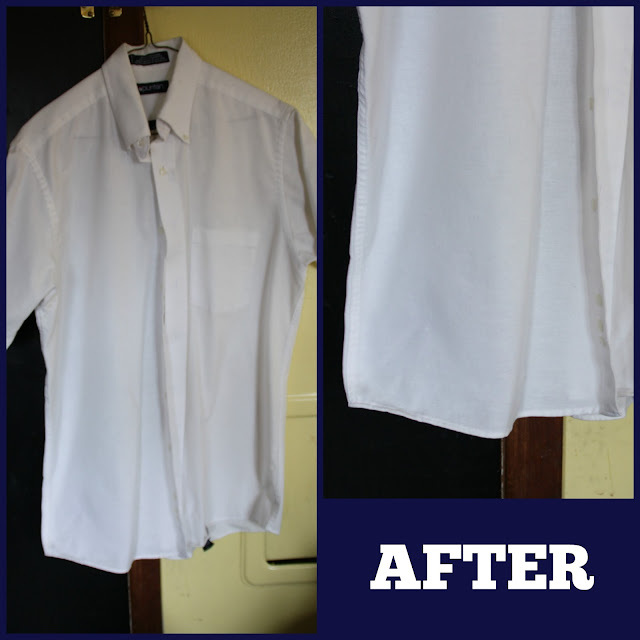 Downy Wrinkle Releaser Plus is a product that is designed to remove wrinkles from clothing in a few simple steps. It literally takes seconds and works like a charm. Best of all, it comes in small, travel-sized bottles that can easily be tucked into travel bags, purses, backpacks, diaper bags and cosmetic bags. I love this! I am always looking for products like this that are easy to transport and take with me. This travel-sized bottle of Downy Wrinkle Releaser Plus meets airline standards for sizing, which is wonderful. You can carry it on the plane with you without worry of it being confiscated. I have found that it also fits perfectly in my outside diaper bag pocket (because I am still in the "I'm a mom so I carry a diaper bag instead of a purse" phase.). So, this is a liquid spray and is super easy to use. I found one of my husbands dress shirts that was jammed in my full closet and pulled it out...full of wrinkles. I figured this would be a great experiment simply because these were tough wrinkles that had been in place for a long time. 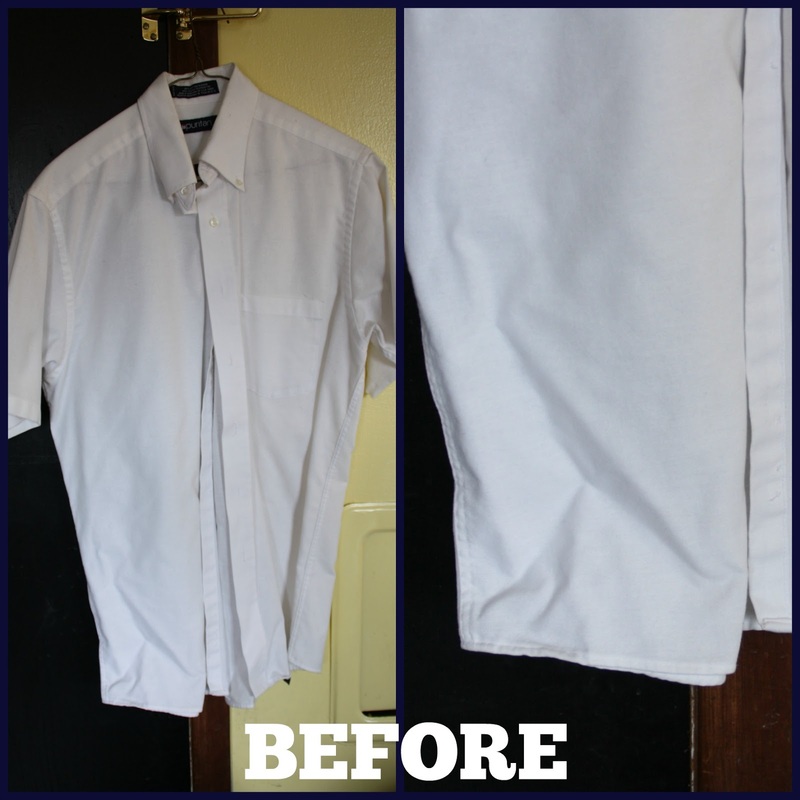 All you do is spray on the Wrinkle Releaser in a sweeping motion all over the piece of clothing, then pull the clothing to stretch it a bit. As you can see, the wrinkles came out within minutes of spraying and tugging a bit at the material. It didn't take a ton of effort and the wrinkles didn't come back, even when several hours had passed. Friends, I am in LOVE. This spray is also an odor eliminator and smells beautiful. The smell doesn't linger so you don't have to worry about it clashing with your perfume or cologne. I love that. Sometimes, fragrances can be overpowering but this wasn't an issue with this spray. So, I would definitely recommend Downy Wrinkle Releaser Plus to anyone...especially those of you who travel often. It is a MUST and something that I will be telling all of my family and friends about!! I love it!! 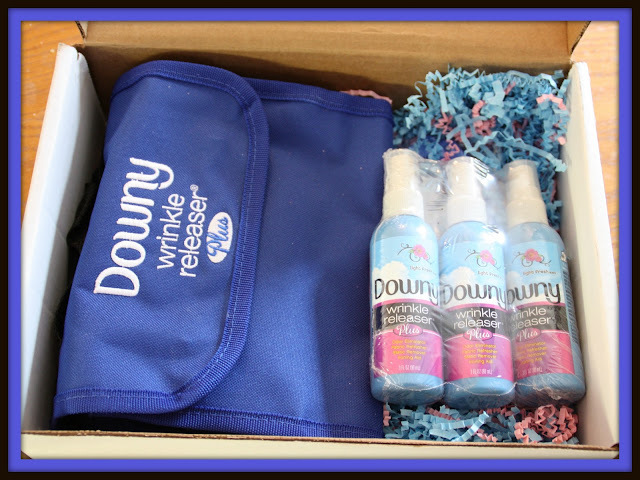 Be sure to visit Downy Wrinkle Releaser Plus on Facebook and also on Twitter. I've never used this product before, but it looks great! 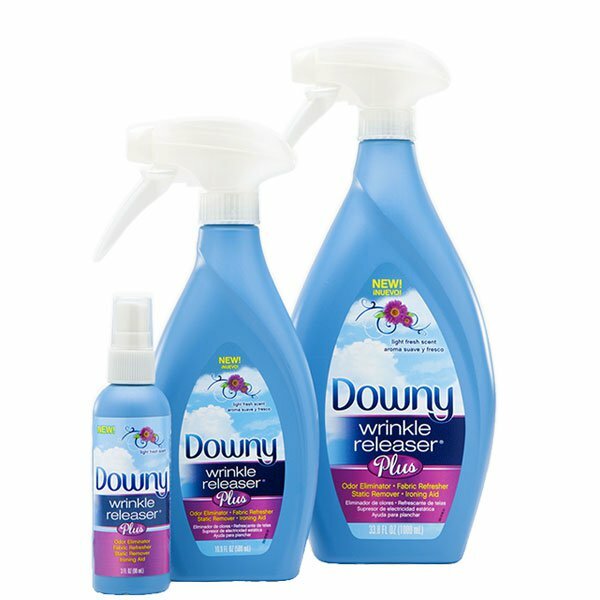 I have not tried Downy Wrinkle Releaser Plus as of yet. It certainly looks like a terrific product to keep handy! 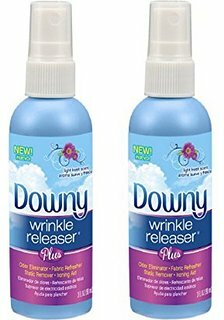 I absolutely love Downy wrinkle Releaser, it works really nicely and is so much easier than ironing.